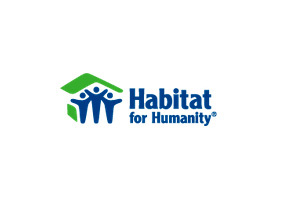 Habitat for Humanity South Sarasota County, Inc. The Philanthropy Officer is responsible for envisioning, implementing and managing Habitat for Humanity South Sarasota County, Inc.’s (HFHSSC) fund development efforts to include fund-raising and cultivation events; annual giving; corporate and foundation giving; faith based giving; civic and service organization giving; major gifts from individuals; prospective donor research; grant writing; donor stewardship; and planned giving. Bachelors Degree or 5-7 years of related fund development experience. Proven experience in writing and being awarded grants of $10,000 and above. Help plan and carefully manage the philanthropy budget ensuring resources are allocated accurately, efficiently, and effectively to ensure adequate support for HFHSSC mission. Oversee implementation and follow-through of all fund raising events and ensure that events are strategically positioned to improve donor relationships effectively and efficiently. Work with staff to maintain appropriate gift accounting and acknowledgement, gifts and grants record management, planned gift distributions and donor stewardship. Foster an environment between staff, board and volunteers that rewards new ideas and risk-taking, encourages teamwork, and celebrates achievements in the area of philanthropy. Open communication on all levels of the organization by keeping donors and public informed, thanked and involved; designing and managing effective Board and staff communications; and ensuring increased giving opportunities. Conduct effective interdepartmental communications and provide regular summaries of all philanthropic activities to Board of Directors and executive management.